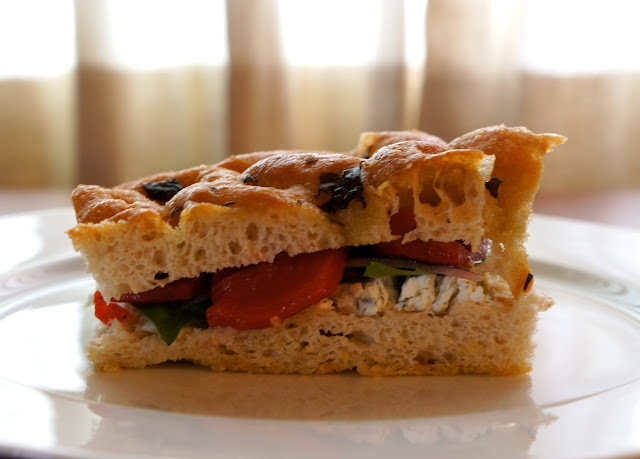 Slice a piece of the focaccia off, however large or small you want your sandwich to be, and then in half. Spread a generous amount of goat cheese on one side of the bread (the focaccia and red onion can be overpowering). 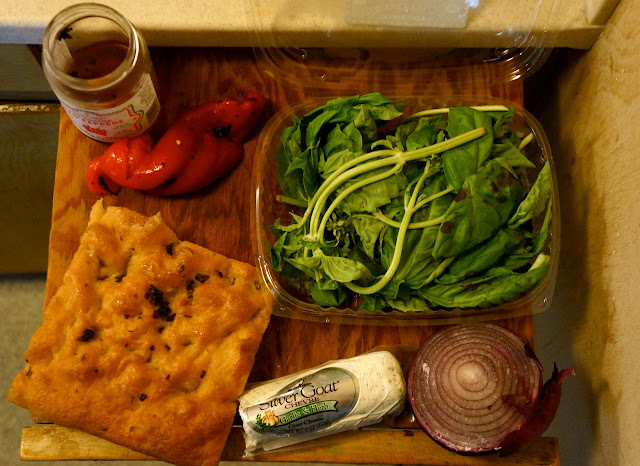 Add two or three leaves of basil and thinly sliced red onion. Chop your peppers in strips and add to on top. Feel free to do two layers of onion so they don't get lost in the other flavors. Put the sandwich together and enjoy! We had these for lunch on Saturday, dipped some of the focaccia in balsamic vinegar later for a snack, and had even more the next day for a beach picnic. The fresh bread truly makes a huge difference; I'll be looking for my own at the Santa Monica Farmers' Market this weekend!